Vail, Colorado, Might Be Better in the Summer! Lately, I’ve been diligent about visiting my most egregious travel oversights. In the past year, I finally made it to places like Miami and Poland; prior to that, I checked off Berlin, Amsterdam, and Chicago. But what was one major oversight that I still hadn’t visited until this summer? Colorado. I think I can tell you why. I don’t ski. So for someone like me who associates Colorado travel first and foremost with skiing, I never seriously considered it as a destination. Even though I knew intellectually that ski towns happen to have great hiking in the summer, it never occurred to me to take a summer trip here. Then I got in touch with the tourism department of Vail, arguably the most famous Colorado ski town of all. 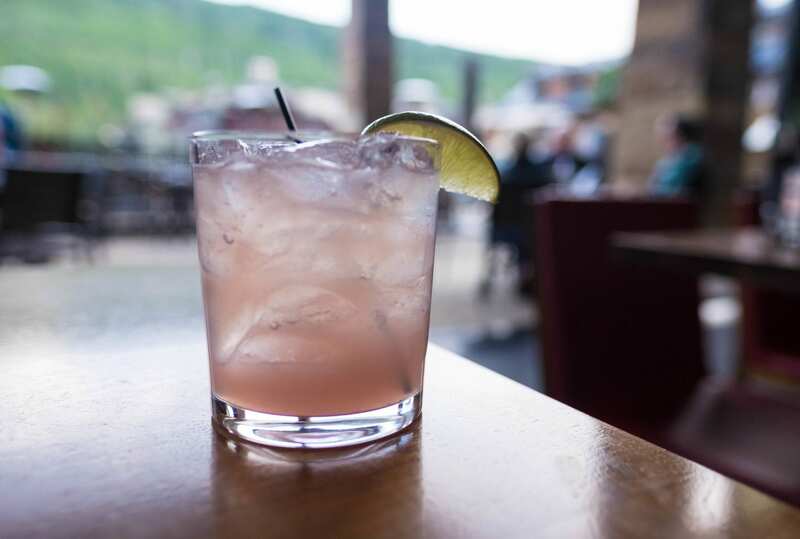 Vail might be famous for its slopes and powder, but it turns out Vail really knows how to rock summer as well. So when they invited me to visit, I happily accepted. 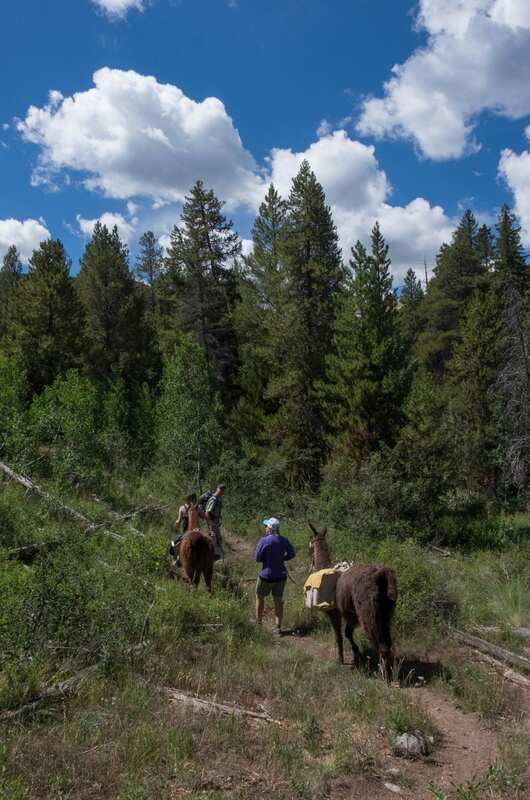 It turns out that Vail locals know something all the ski tourists don’t — Vail is even better in the summer. Almost everyone I talked to in Vail told me that this is their favorite time of year. What makes it that way? Far and away, the beauty of the mountains. 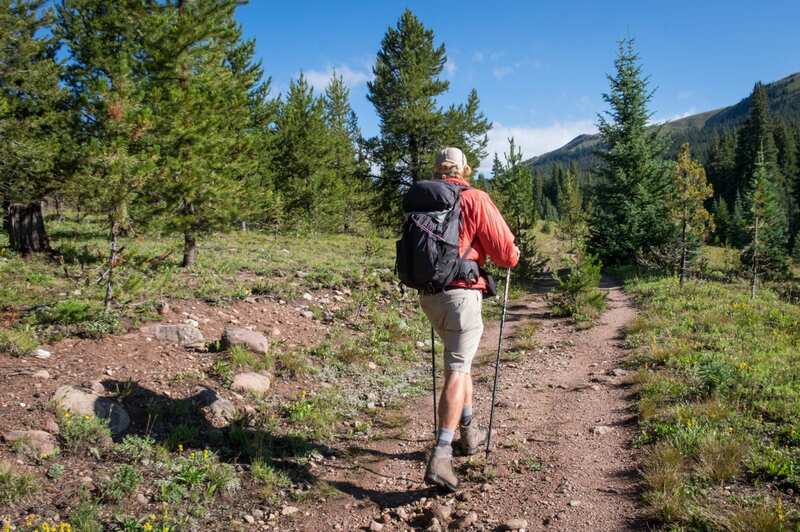 Hiking around here is not just an activity you do a few times a year — it’s a way of life. 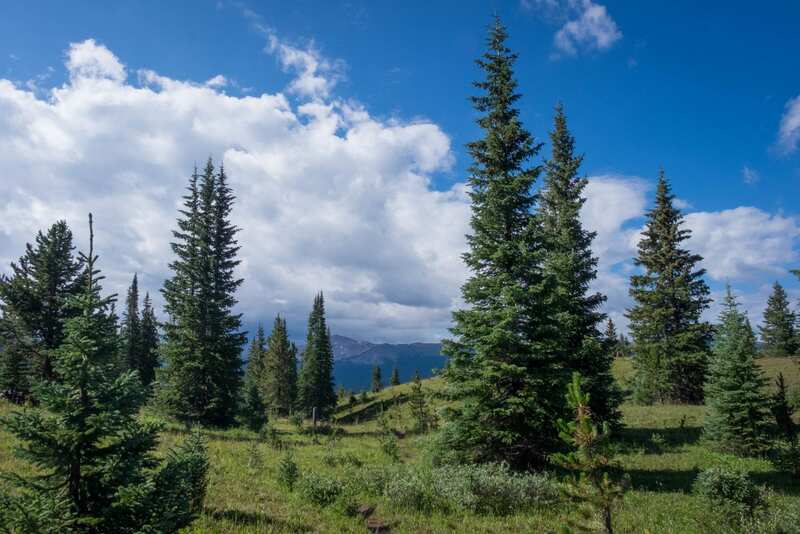 Colorado is often ranked the healthiest state in the US, and it’s easy to see why when the outdoors are this visually appealing. It’s far less crowded and crazy than in the winter months. It’s not quite low season — low season would be around May or October, kind of in-between months — but it’s nowhere on the level of winter. And accommodation prices are lower, too. The weather is mild. Like many high-altitude destinations, you could conceivably have several different kinds of weather in a single day, and it’s best to layer up — but that’s better than freezing in your ski boots. I arrived on a plane from hot and sticky New York City and set out to discover what this town had to offer. One of my all-time favorite movies is Dumb & Dumber. And just like my hero, Lloyd Christmas, I was a native New Englander with a chipped tooth*, a hopeless romantic spinning around in Colorado for the first time, high on altitude sickness and definitely without warm enough clothing, spellbound by the beauty of a Rocky Mountain village. I really should have driven my sheepdog. *Boston. New Years Eve 2009. Beer bottle to the face. Got it patched in Bangkok for $17 but it fell off a few years later. It’s a subtle chip; you wouldn’t notice unless you looked closely. 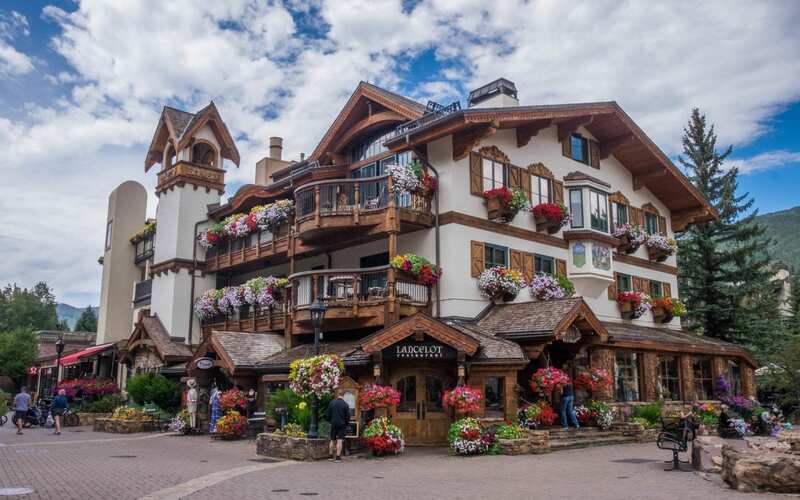 The architecture in Vail is so distinctive — it’s definitely influenced by Switzerland and Austria, but it has its own Colorado spin on it. 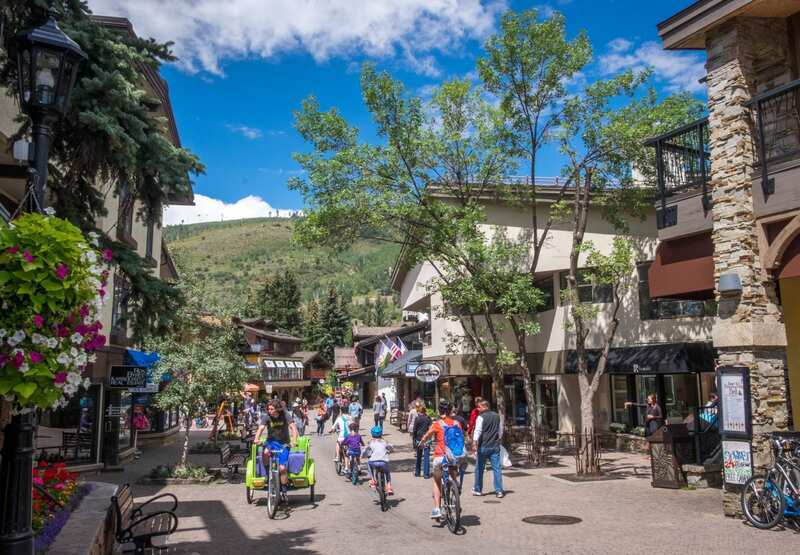 Vail Village is small and walkable, and a lot of people choose to bike around. 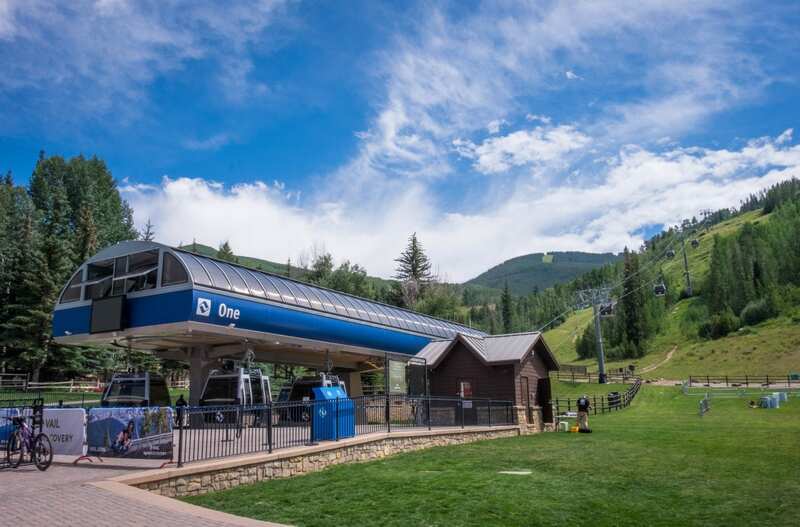 You don’t need a car in Vail at all. And that’s not all — in the winter the paths are actually heated, so you don’t have to worry about slipping on the ice or snow! Later in the trip I rented a bike and rode around the town. 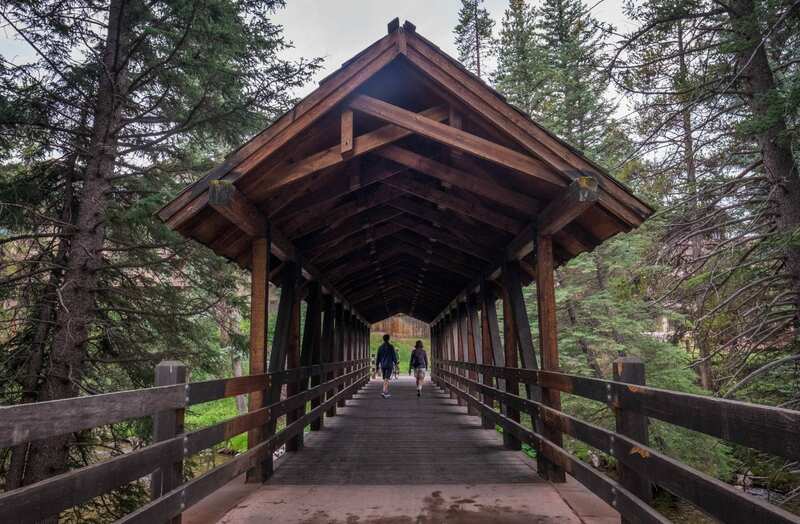 Vail has several covered bridges, and some of the highest botanical gardens in the world, named after former First Lady Betty Ford. She and President Ford loved Vail and spent a lot of time here. I wanted to get deep into the mountains right away, and I was jazzed to be hiking the next morning. My guide, Peter Suneson of Walking Mountains, an outdoor outfitter that focuses on education and sustainability, picked me up in an electric car. 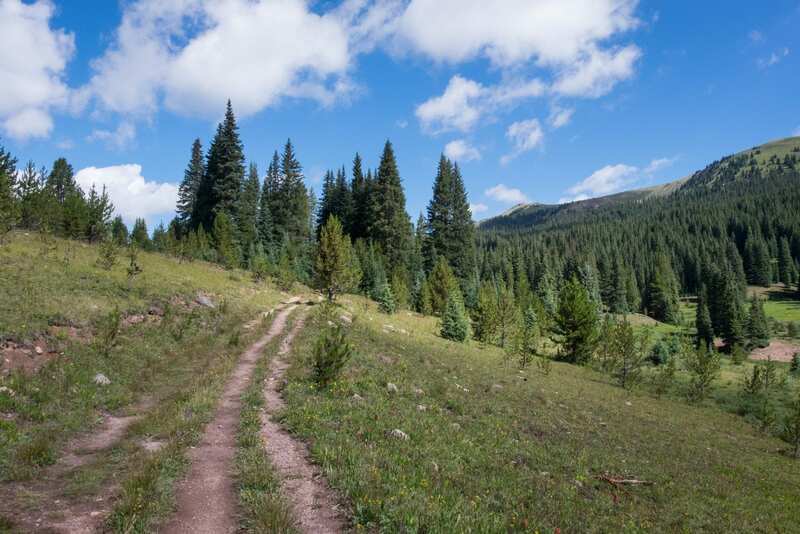 We drove us to Uneva Peak, home to a lovely, and relatively easy hike in the Vail area. Peter, who bears more than a passing resemblance to Owen Wilson, is a naturalist from Oklahoma with his master’s degree in Environmental Studies. As we climbed the mountain, we talked about literature, business, protecting the environment, and everything in between. By this time, I had been in Vail for less than 24 hours. Coming from New York, that’s an 8,000-foot altitude change. Altitude affects everyone differently, but that’s a big jump no matter who you are. The night before, I sipped one glass of wine over the course of two hours and it still made me loopy; as we began hiking uphill, I felt my blood pounding in my head with each step. Uneva Peak is a great choice for an easier hike. It starts with a steep uphill but then becomes very gentle. Peter told me I was handling the altitude better than most people. I grinned but knew better than to gloat — altitude can affect you differently each time, and I had lucked out this time. The whole time we hiked, the phrase “God’s own country” kept passing through my mind. It’s not a phrase I use in my life, but it seemed so suited to the countryside surrounding Vail. A place so beautiful that its maker could only be beyond our knowledge. 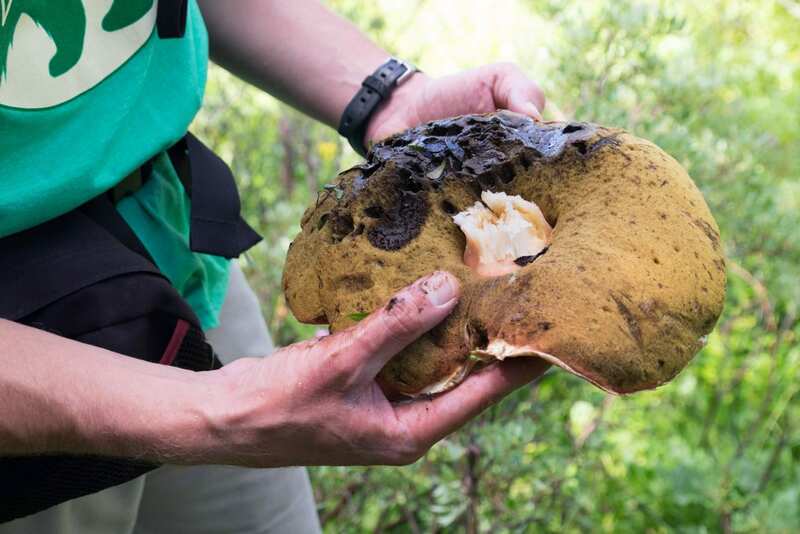 Vail is a popular area for mushrooming! We passed several mushroomers hiking the trails, each of them lamenting how few mushrooms were around that day. 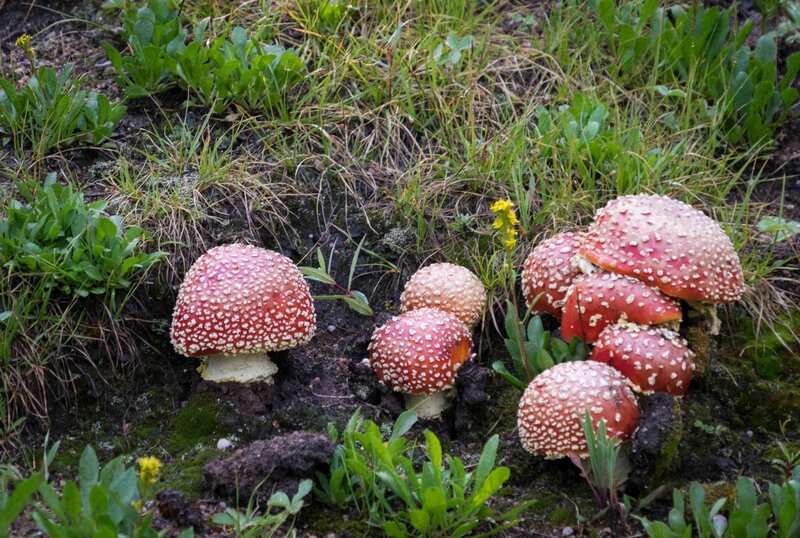 CASE IN POINT: ONLY GO MUSHROOMING IF YOU KNOW WHAT YOU’RE DOING, AND THESE RED MUSHROOMS ARE POISONOUS. 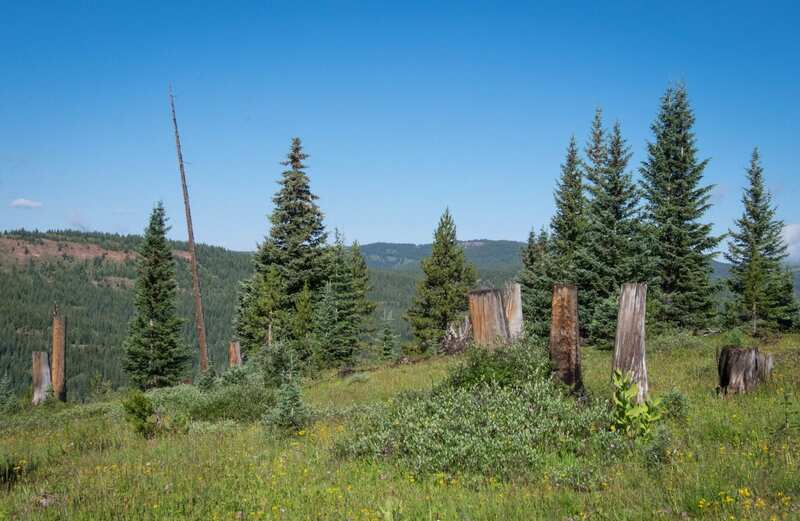 There are so many tall tree stumps on the mountain. Peter pointed out that they are that height because loggers cut them down in the winter and they were partially buried beneath the snow. That really struck me — much like when I was in the Scottish Highlands and found out that people often didn’t wear shoes, even in the winter. People suffered so much just to live. Imagine how difficult your life would be if you had to cut down trees in three-foot-deep snow. 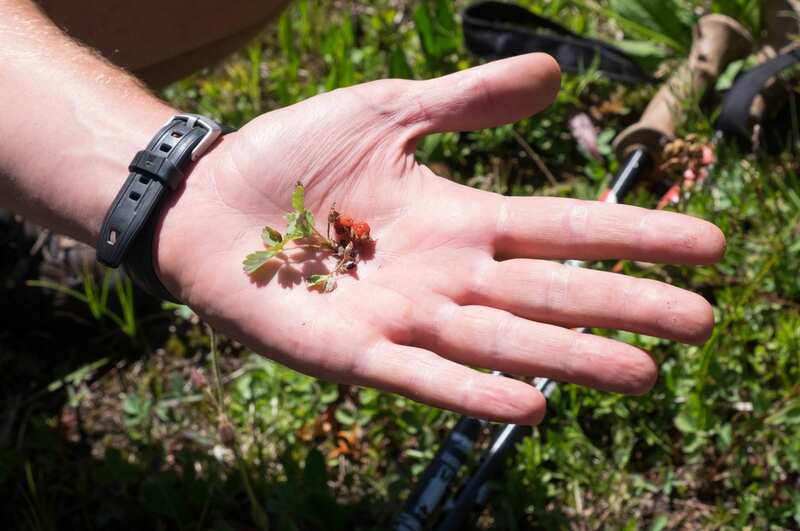 The mountains are covered with strawberries — small, concentrated, natural strawberries. The perfect snack in the middle of a long hike! As we finished up the hike and walked back down to the electric car, I realized that this was the best morning I had had in quite some time. And then there was the spa. THAT SPA. The Sonnenalp is famous for its spa, and justifiably so. I got a nice facial (and for what it’s worth, a month later, I haven’t had any major deep-under-the-skin breakouts since — that is super rare for me). But it’s also a beautiful setting — and the best part is hanging out by the giant fireplace in your robe, sipping a cup of tea. 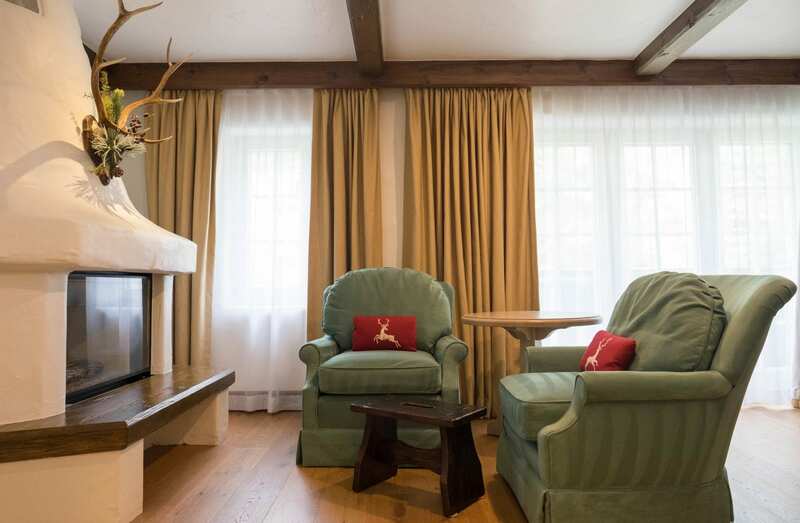 LOOK AT THAT FIREPLACE. Is that not the most inviting fireplace you’ve ever seen?! Give me a thick book and I could have spent the entire day there, surviving on apples and herbal tea. I didn’t try the pools, but I loved that they were indoor/outdoor pools — it must be fun swimming from the inside into the snowy mountain environment outside! 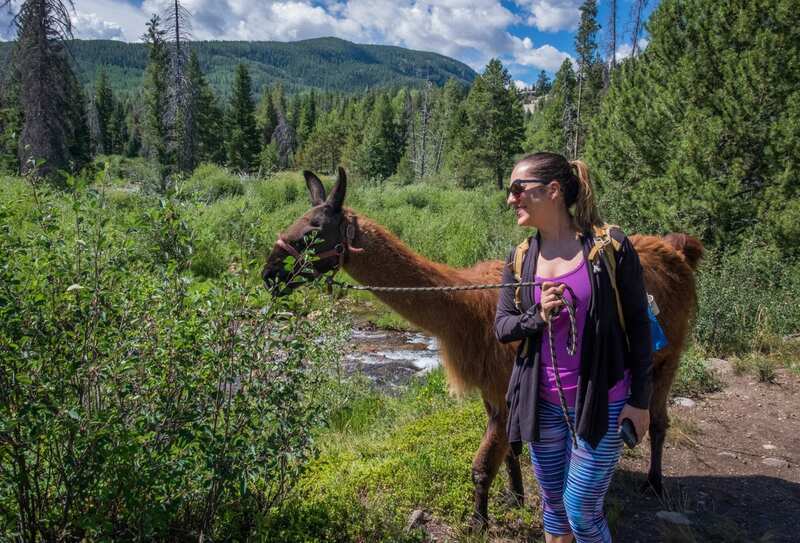 Perhaps the most special and unique experience I had in Vail was hiking with llamas! Yes, you can go on a hike accompanied by these furry beasts. This excursion is run by Paragon Guides, who offer all kinds of Vail tours but are best known for this insanely Instagrammable excursion. Our llamas were named Kareem and Bailey. Soon I learned that Kareem was an avid hummer and Bailey went crazy for blueberries. Here our guide was Paul. Like so many locals I met, he fell in love with the mountains and moved out to Denver with his wife, only to spend a lot of time looking out the window and wishing he was in the mountains, not just looking at them. Then he quit his job, he and his wife moved to Vail for real, and he became a guide! 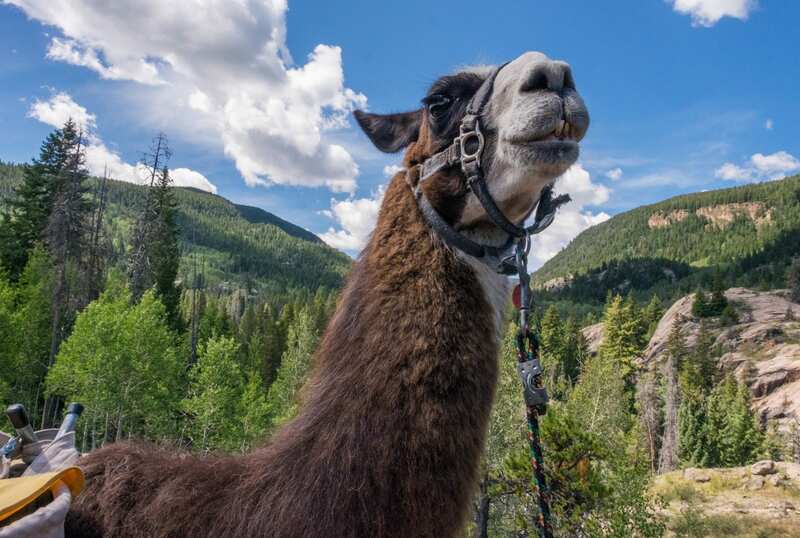 Llamas are a lot of fun. They’re pack animals, so they can comfortably wear a lot of weight, and you won’t have to carry as much. And they did not stop eating. Even if we only stopped somewhere for a few moments, the llamas heads would be on the ground, munching on grass or weeds. 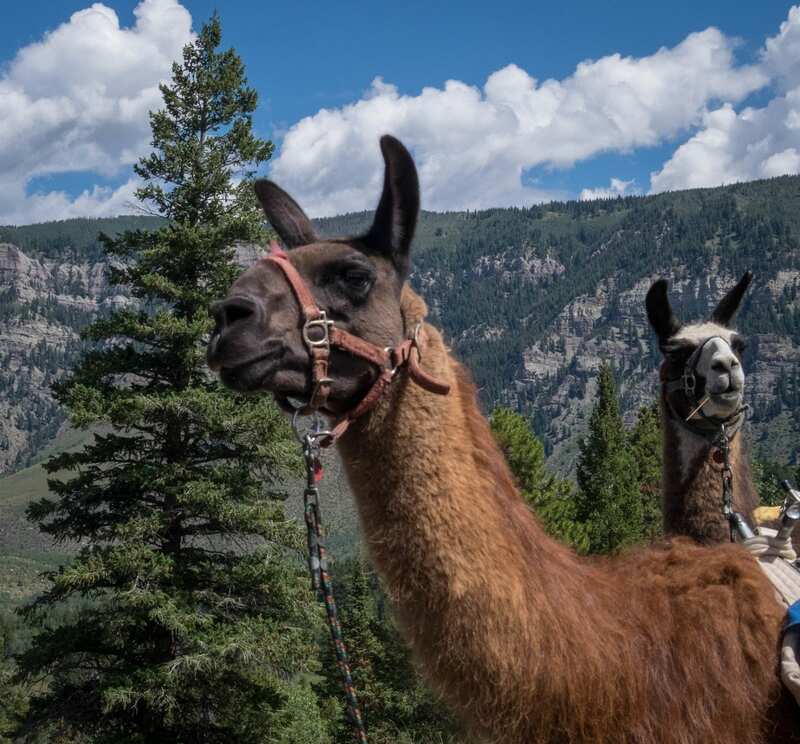 On this excursion, we hiked outside Minturn, a cute town with an Old West feel just west of Vail. Very few people were out on the trails, leaving us in blissful isolation. At one point, Kareem sneezed on me. I yelped in shock and everyone in the group burst out laughing! I couldn’t help but laugh, too. I’ve had worse things on me than llama snot. 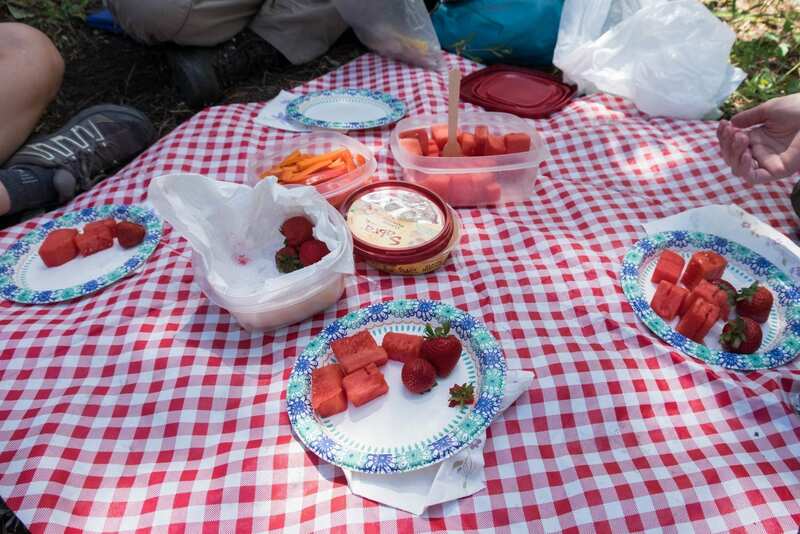 We had a wonderful picnic in a clearing, sharing strawberries and hummus and building our own sandwiches. Kareem and Bailey, for their part, didn’t stop munching on grass the entire time. This was such a wonderful day. 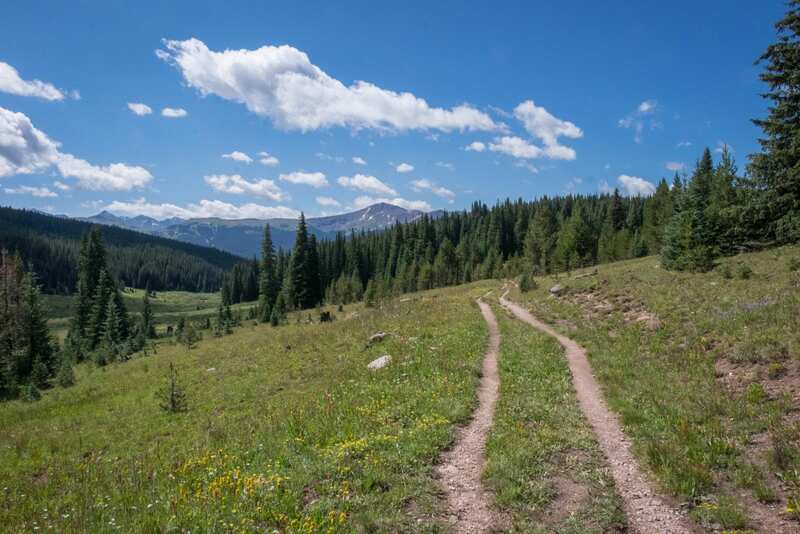 If you want to do something truly memorable in Vail, make it this hike. I hope that you have Paul for your guide, too; he’s such a wonderful and affable guy! 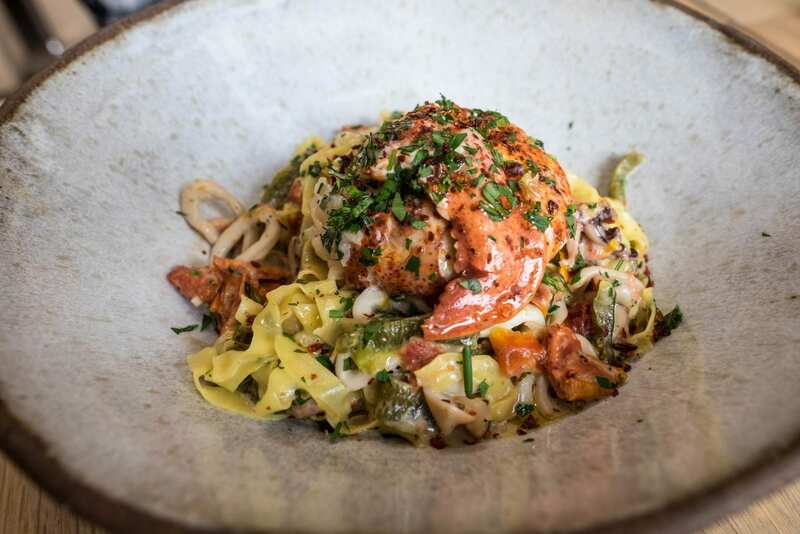 Vail is a resort town full of athletic people — it should be no surprise that there are tons of great eats around the city. 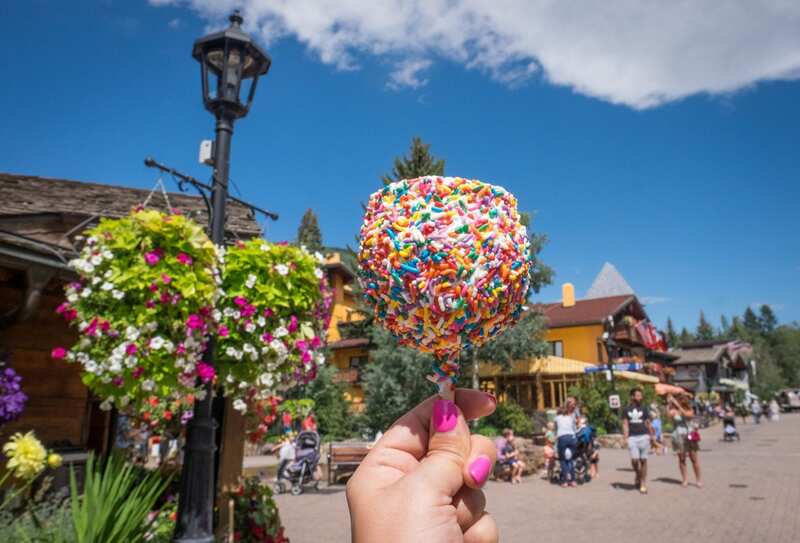 And not just the rainbow jimmy candy apple above from Rocky Mountain Chocolate Factory that I swore I only bought for Instagram purposes, then ended up eating in the privacy of my hotel room. Oops. The #1 recommendation I got from friends and readers was to eat at The Red Lion, and they said the food was simple and delicious. 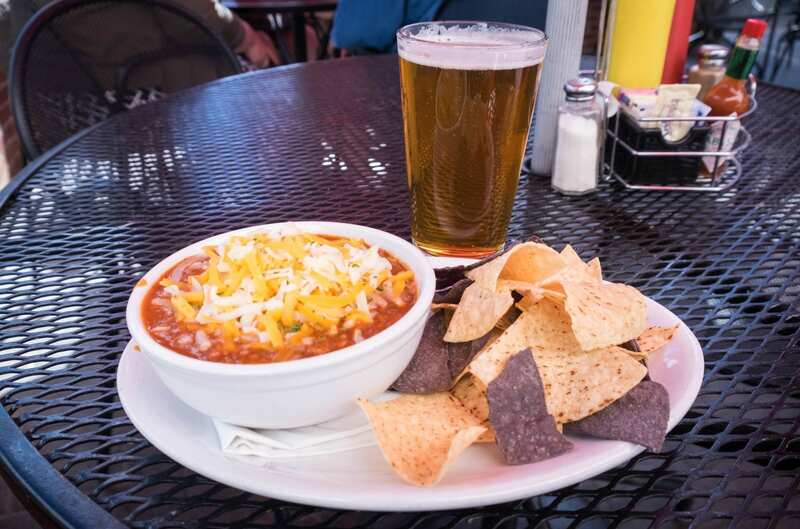 They weren’t lion (ugh, I hate myself) — I stopped in for a bowl of chili and a local beer after my hike with Peter, and to say it hit the spot would be the understatement of the decade. I was excited to eat at Matsuhisa for nostalgic reasons. You might remember that my first job out of college was working as a concierge for an exclusive credit card. 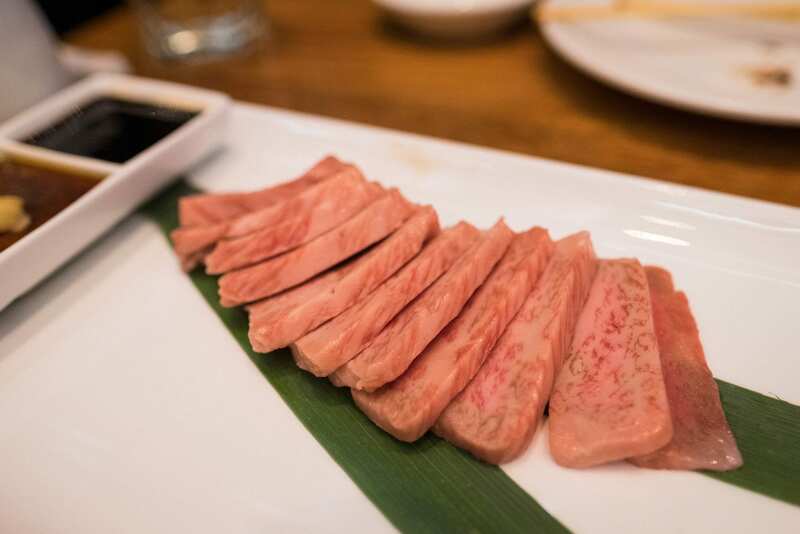 One thing we did was dining reservations, and I booked my clients at the Matsuhisa restaurants in Vail and Aspen all the time. It was so nice to finally eat there as a guest! 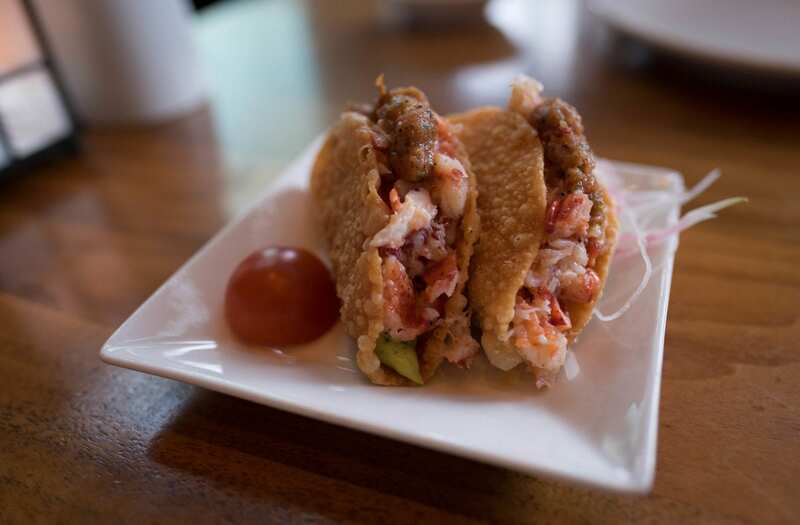 One of the standouts was the lobster tacos, pictured above, as well as the black miso cod and the lavender margarita. 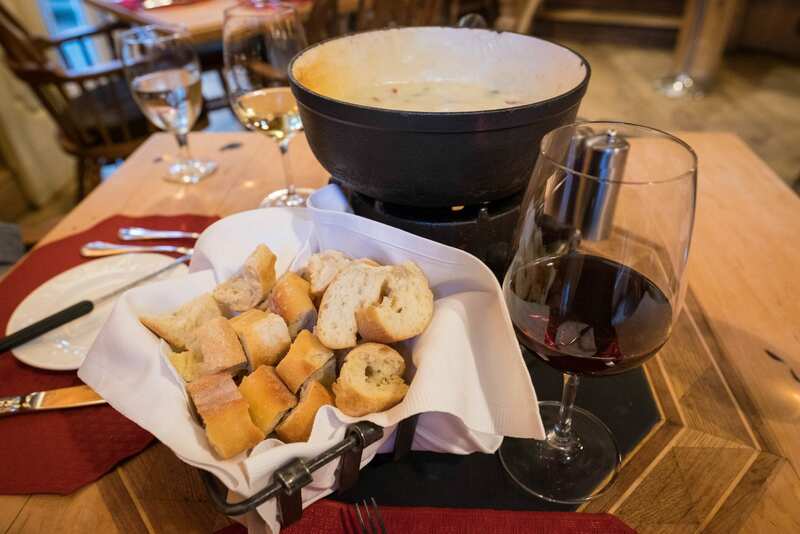 Probably the most Vail dish I could have possibly eaten was a special fondue at the Swiss Chalet at the Sonnenalp. This was a Mexican-inspired jalapeño fondue! 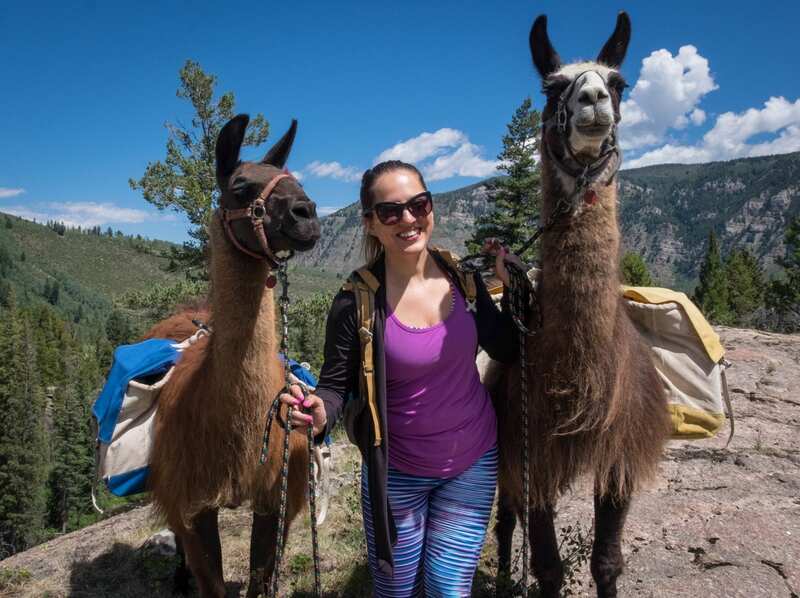 Vail is a popular destination with Latin American travelers, Mexicans in particular. This dish marries the Alpine look of the village with the ingredients of their visitors. 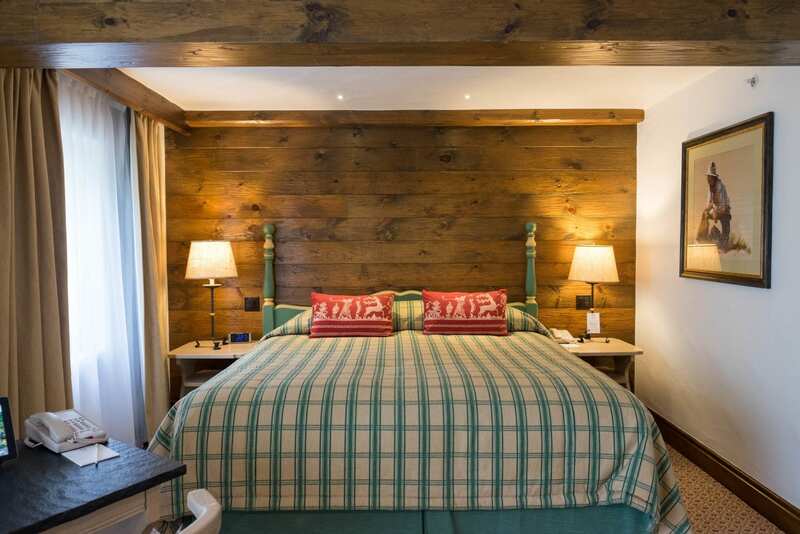 I can only imagine how great this place is after a long day of skiing! 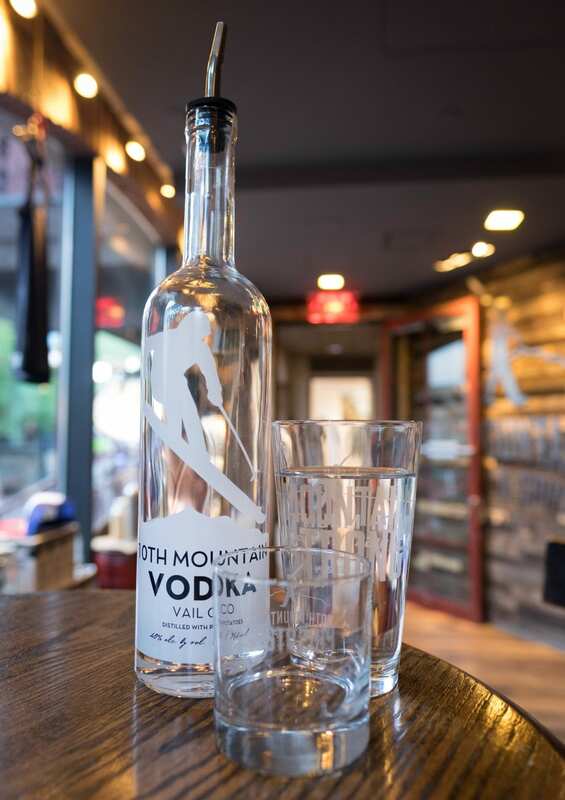 If you’d like something a bit stronger, check out the 10th Mountain Whiskey and Spirit Company. They distill their own vodka, whiskey, bourbon, and even moonshine! Yep, I tried it and found out I can’t stomach moonshine any easier than I could while in college. I did, however, love their cordial — fruity and boozy in all the right ways. 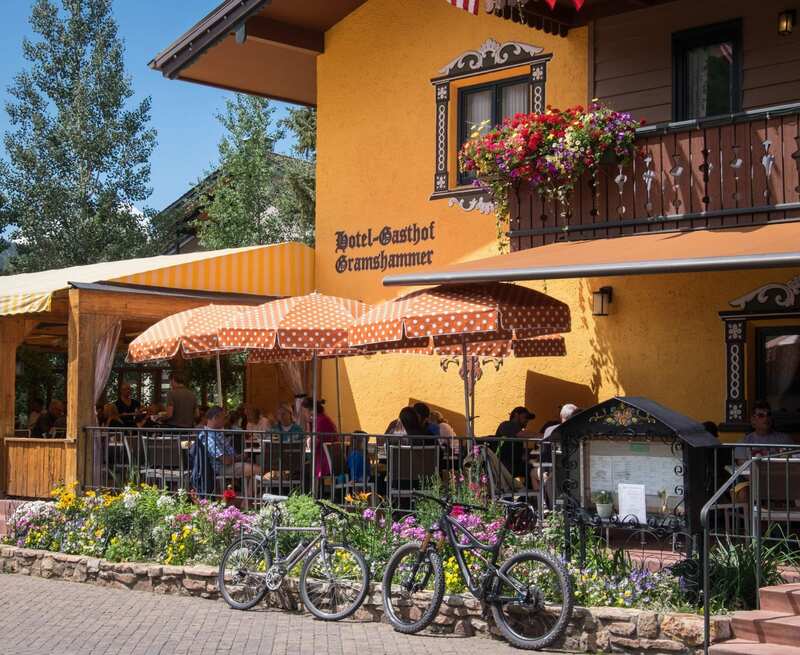 If there’s any classic Vail restaurant that tops the lists, it’s Sweet Basil. This restaurant has been in business for decades — so long that they often bring back classic dishes on the list, adding the year it was introduced. Who knew the Caesar salad was introduced in 1978? Or that tuna kung pao was the dish of 2004? 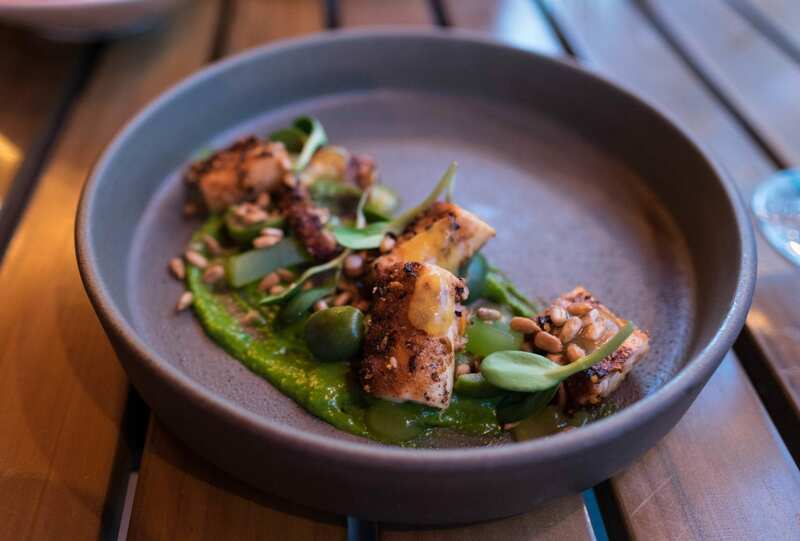 My favorite was a modern dish — the octopus. Octopus so often comes out rubbery, but they really knew how to cook it to tenderness here. 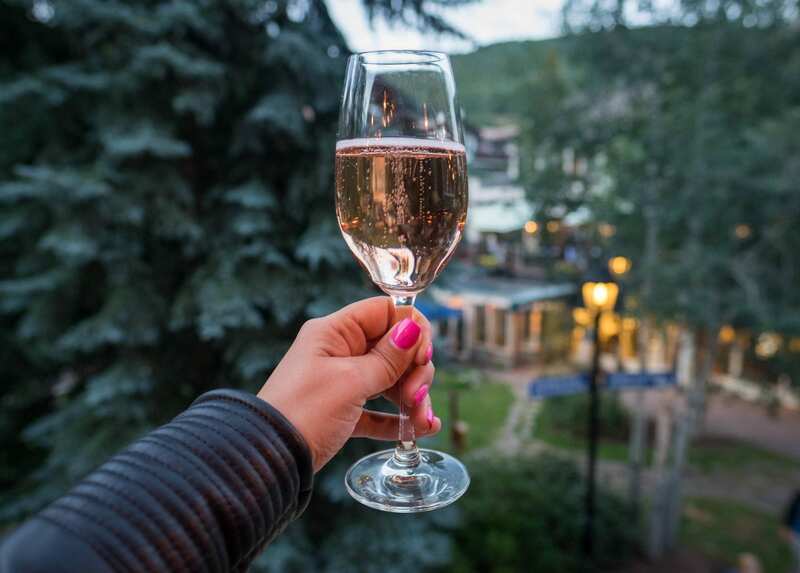 My personal favorite restaurant in Vail was Pendulum, a gorgeous fine dining spot in the heart of the village. 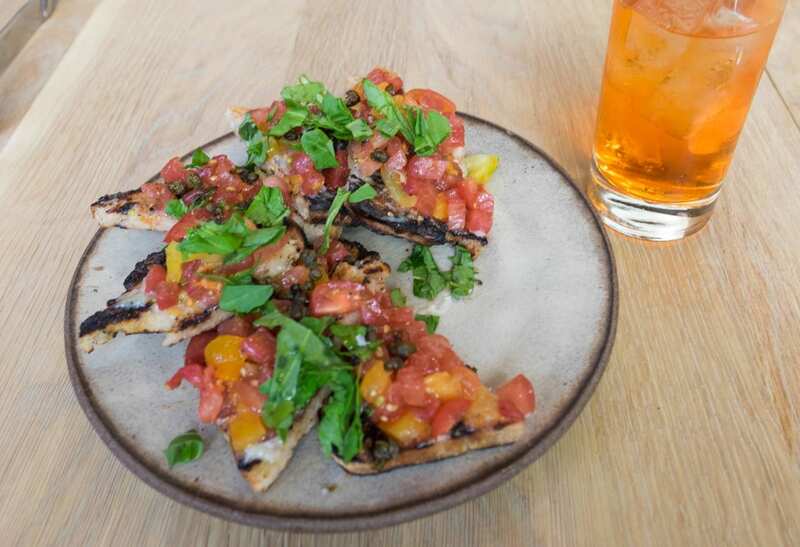 Their heirloom tomato toast blew my mind — sometimes the simplest dishes, if prepared with fresh ingredients, can be transcendent. 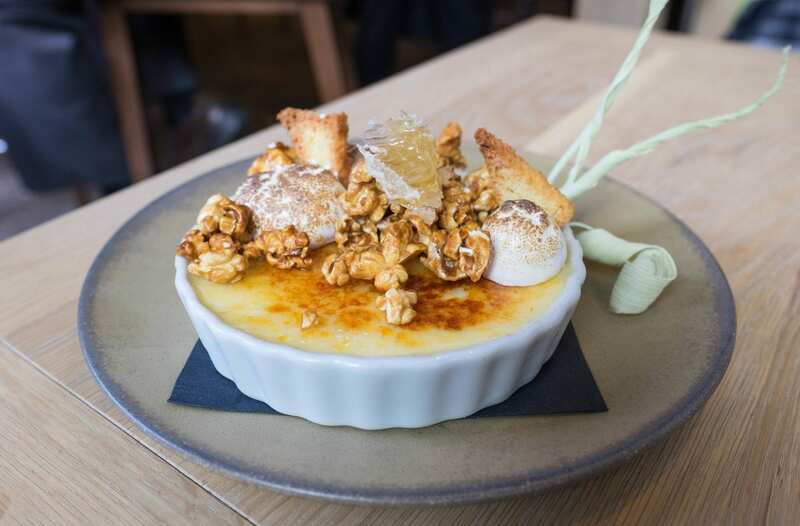 But the biggest standout was the sweetcorn crème brûlée topped with kettle corn, toasted marshmallows, brioche, and honeycomb. LOOK AT THAT THING. I’m not the biggest sweetcorn fan, but this tasted as sensational as it looked. I had such a great time in Vail. You can see that from the pictures. But since the trip I’ve been trying to figure out what really stood out to me, what made it special and different and extraordinary. That’s one reason why I like to wait a few weeks after a trip to write about it; I like to let it sink in and marinate. What I loved most about Vail was hiking through the beautiful mountains while having intellectual conversations. Just walking through the mountains with interesting guides and being able to have next-level conversations about literature and climate change felt like a novelty. 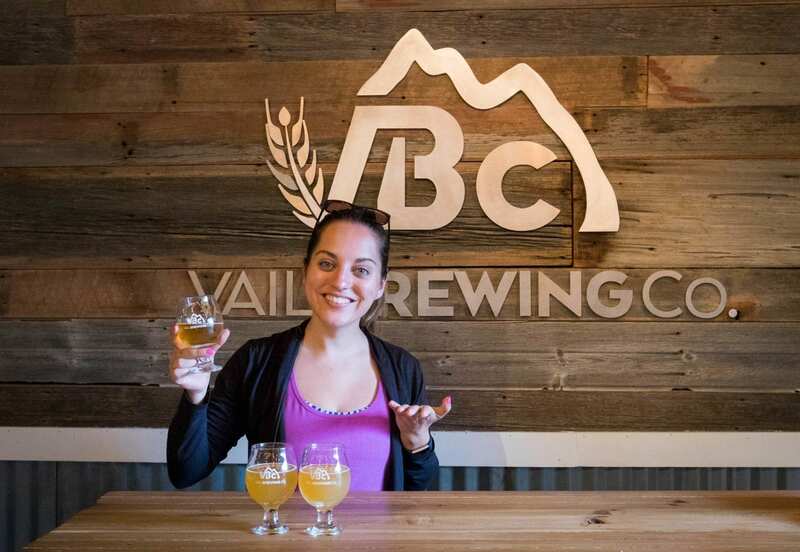 I feel like I’ve never had that experience before; it was so nice to have it in Vail. 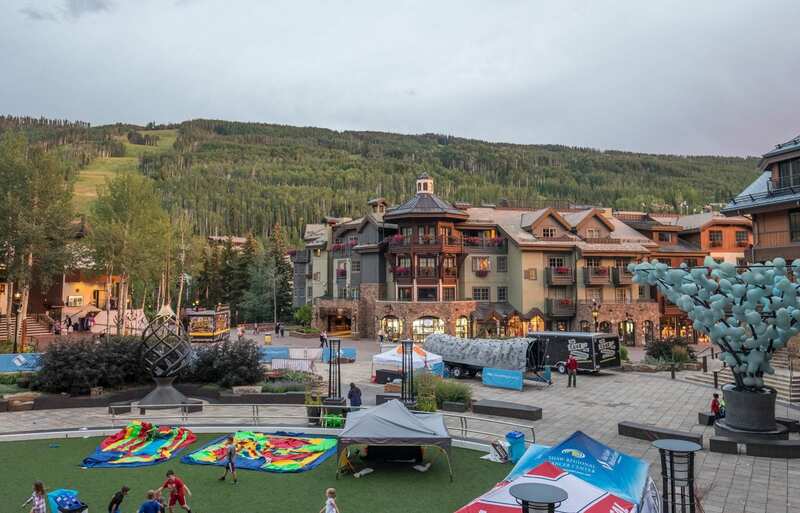 I also loved that Vail was unquestionably a resort town, but it was populated by real people, interesting people, people who pulled back the curtain a little bit and showed you their inner lives. I don’t often go to resort towns, but Vail felt different from many that I’ve visited. Vail had an honesty, a frankness, to it that I haven’t seen in other places. And another thing that made me laugh was Vail style, especially on the Friday night I spent in town. On the first day, I actually felt overdressed in jeans — everyone was in workout clothes! But by the time evening rolled around, some of the women were still wearing workout clothes or athleisure while others were in super fancy designer duds with elegantly coiffed hair. It made for great people watching, that’s for sure! But more than anything, Vail was a reminder that I love the mountains more than almost anything — perhaps even more than beaches. 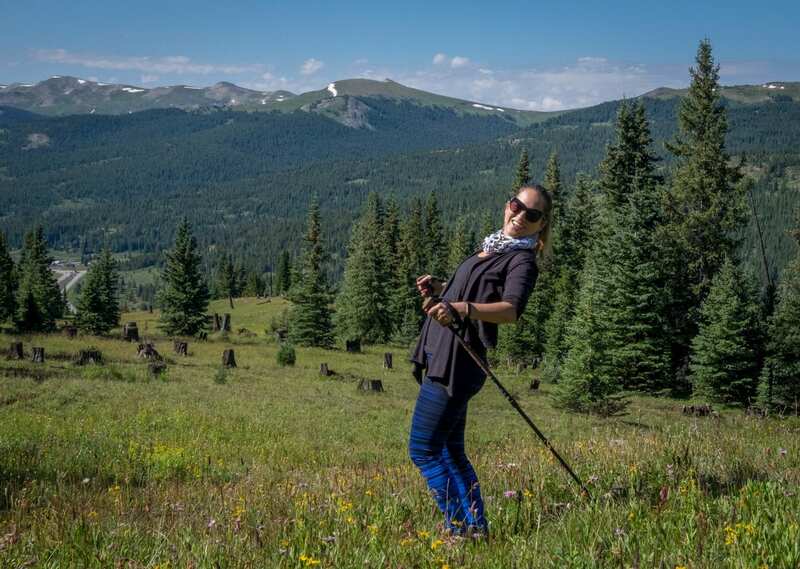 Mountains give me joy and rejuvenation, and Vail has some of the best mountains of all. I certainly found that out on this summer trip. Now, what’s next? I think it’s time for me to finally learn to ski. 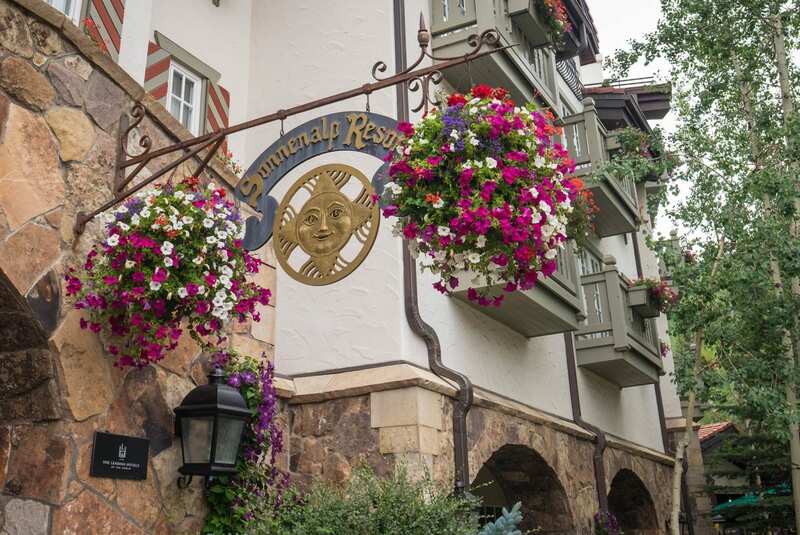 Essential Info: In Vail I stayed at the Sonnenalp Hotel, a luxurious Alpine wonderland that I loved. 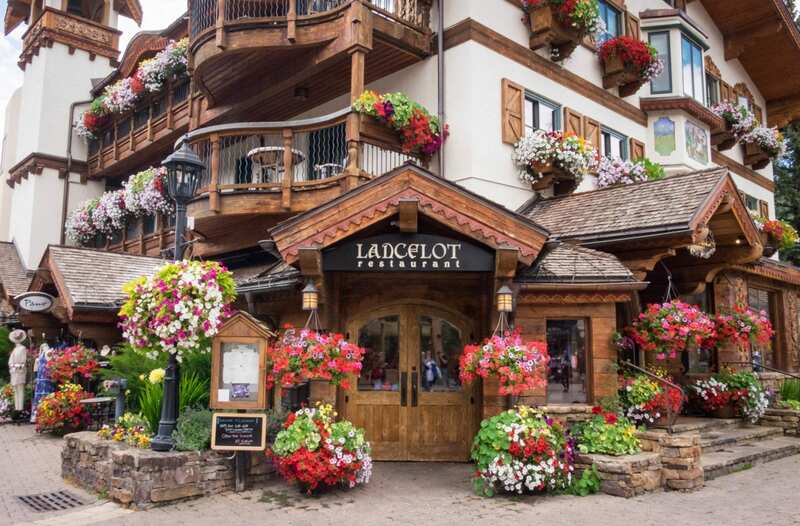 It’s definitely a splurge property, but if you want to go all out in Vail, I couldn’t think of anywhere more thematically appropriate than here. Low season rates from $330. 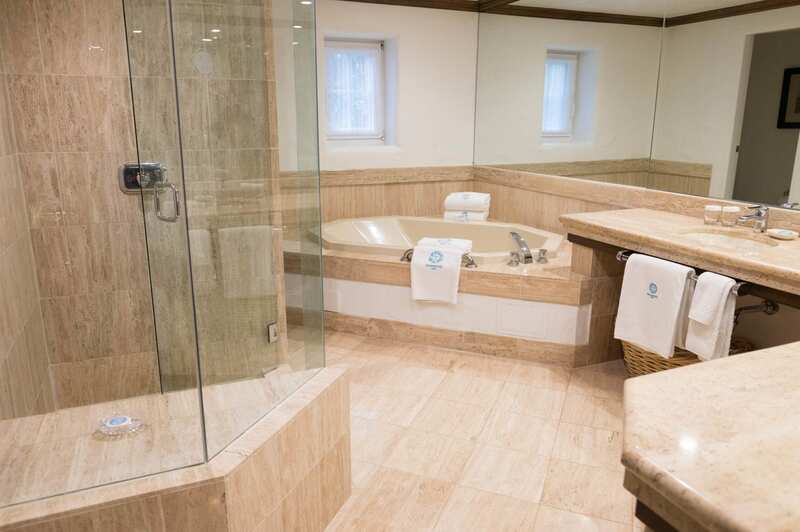 The spa is included for all hotel guests; the 50-minute facial costs $155. 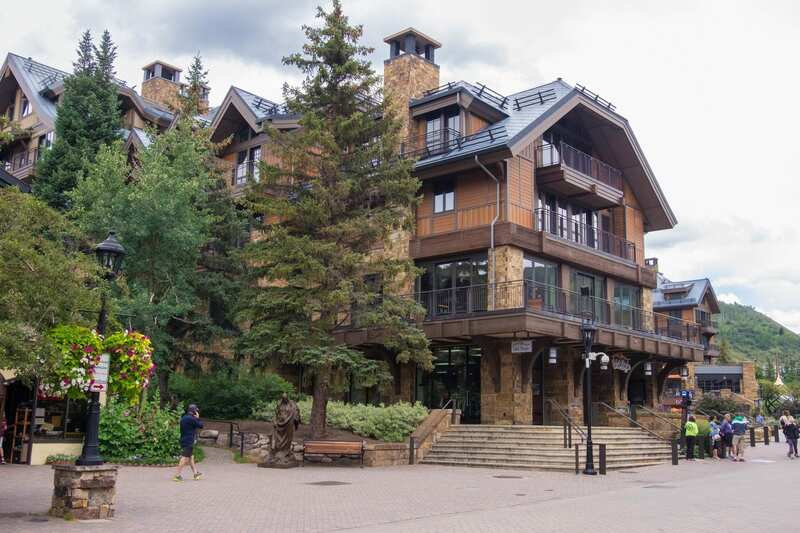 See more Vail hotels here. My hike with Peter was through Walking Mountains Science Center, a local nonprofit focused on sustainability in Vail. Peter offers full-day hikes for $80 per person, or half-day family hikes (age 8+) for $30 per person. There are also several free programs; check the website for details. 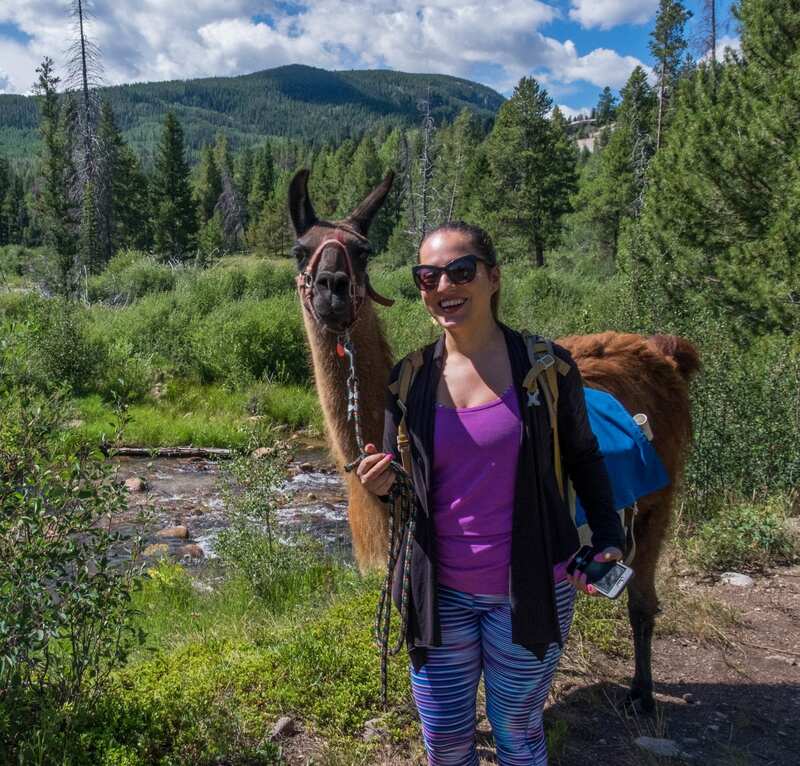 My llama hike with Paul was through Paragon Guides. 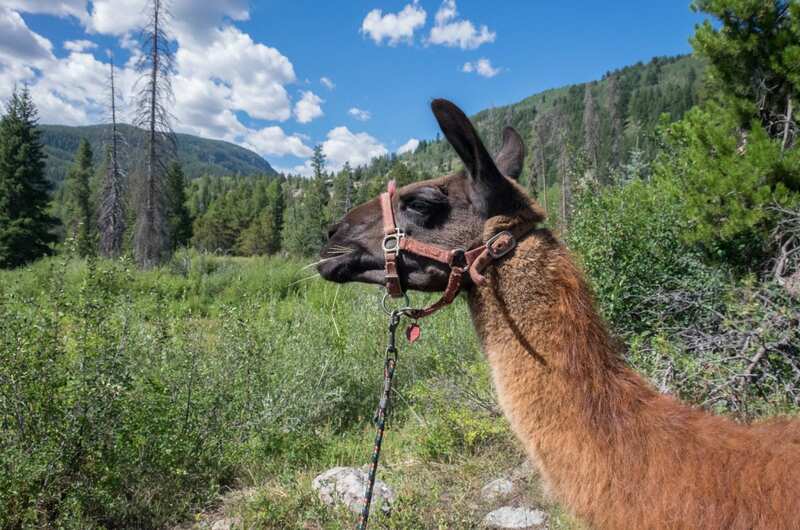 The Take a Llama to Lunch Tour costs $675 for 1-4 people and extra people are $89 each. 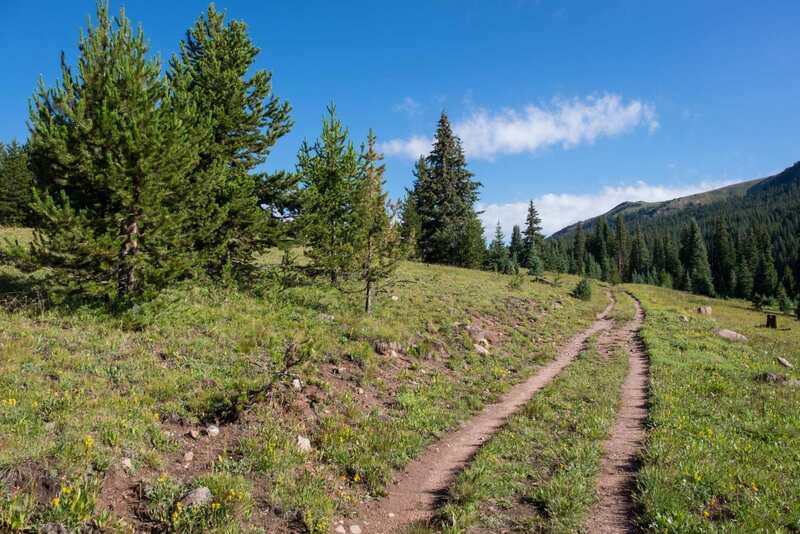 This hike takes you through the backcountry and can be adjusted for any level. 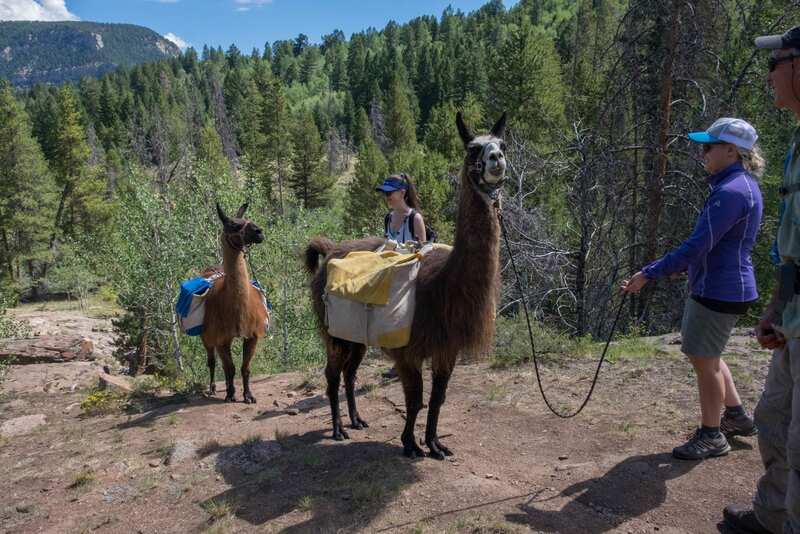 They also offer multi-day llama treks. While you can fly directly to Vail, I came from Denver Airport on the Colorado Mountain Express, a shuttle van that takes you door-to-door. It was an easy two-hour ride through absolutely gorgeous landscapes. I planned to use the free wifi to work, but it was so beautiful that I just listened to music and zoned out while taking in all the beauty. And we stopped at Starbucks halfway — yay! One-way fares cost $84-97. On the way back to Denver, I took the Bustang bus, which is linked with Greyhound. It was a simple bus ride along the same route and dropped me at Union Station. One-way fares cost $17. Be careful with the altitude. 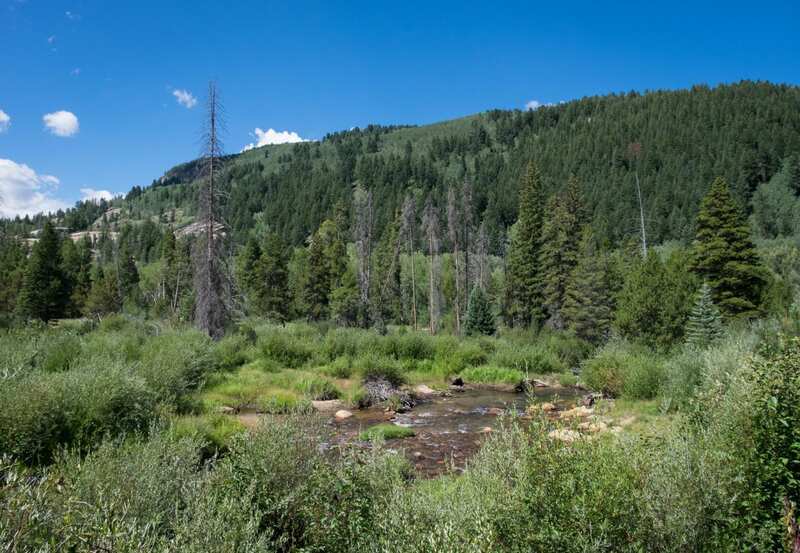 Vail is 8,000 feet (2,445 meters) above sea level. Peter recommended people arriving from sea level spend a day acclimating before attempting a challenging hike; a gentle hike is fine. Hydrate, take your time, and keep in mind alcohol will likely hit you much harder than at home. Canned oxygen is for sale throughout Vail if you need extra help. 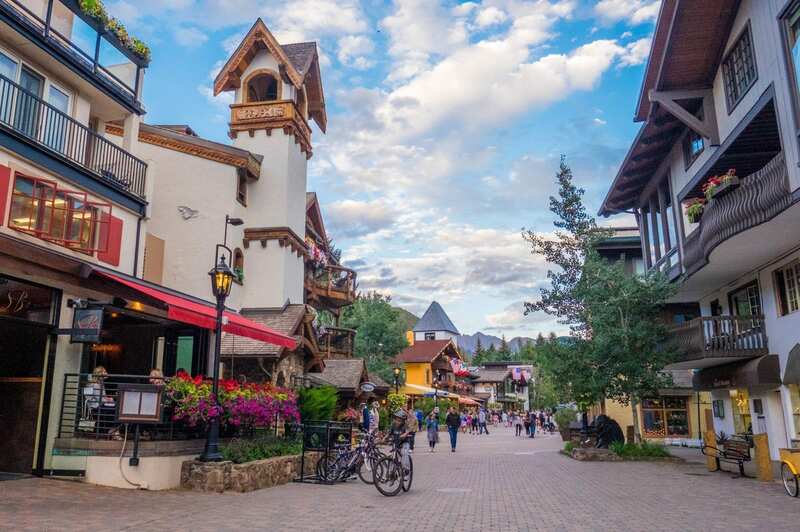 Be sure not to visit Vail without travel insurance. Whether you get appendicitis and need to be hospitalized, or your phone gets stolen, or an injury means you need to cancel all or part of your trip, travel insurance will help you when you need it most. I use and recommend World Nomads as travel insurance for trips to Colorado. This campaign is brought to you by Vail Tourism, who hosted and compensated me in Vail. All opinions, as always, are my own. 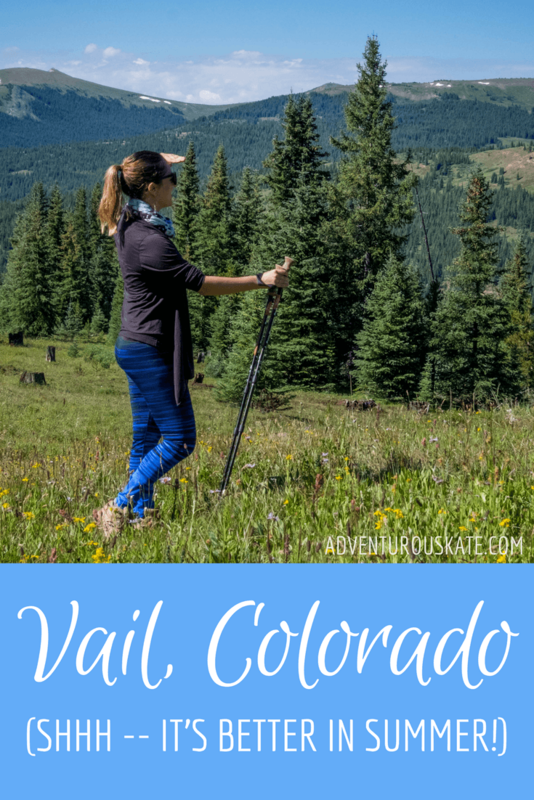 Have you been to Vail? Does it look like your kind of place?